Android Go - Whats your opinion? I've been asked very often whether a phone supporting android go is a good to go with product or not. I say why not judge Yourself? Therefore, I've provided this article which not only educates one about the features but also the pros and cons followed by my personal opinion in conclusion. So, don't wait for the advices and decode your opinion about it yourself. Also, comment your opinions about the same after reading the article for everyone to have a better public opinion. Android Go edition- the perfect OS for budget smart phones. Android Go edition, also referred to as Android Oreo has become the latest buzz of the town as it contributes to being the stripped down version of the Android.In addition, it is widely popular for its ability to run on the different types of entry-level smart phones with reduced storage, CPU power, and RAM. 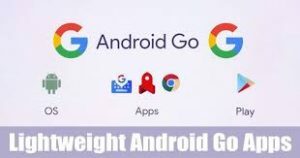 The primary aspects of Android Go are known to be Google Play Store along with the operating system and Google Apps which, in a combined way offer a better and unique experience on the lesser hardware. It has the right configuration that can work in an effective manner on low-end devices. Along with this it has a bunch of striking features that are accurate for saving the battery life. It has a wonderful collection of amazing fonts and alluring emojis. You can also know how to root an android phone. This operating system is lighter in weight and thus it takes much less space on the phone while showcasing enhanced performance at the same time. It is considered to be an excellent option for smart phones with a low budget, having 1 GB RAM or 512 MB RAM. 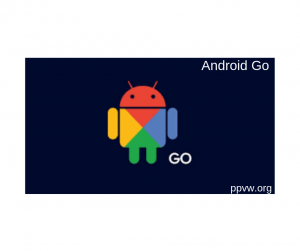 Android Go has a wide array of Google Go Apps that stand second to none in offering stunning performance. It comes with the well renowned and required Android Apps like YouTube Go, Google Maps Go, Google Go, Gmail Go, Files Go and Google Assistant Go. The apps are optimized in a manner that the average application has the capability of running at a faster rate on devices that run on Android Go. One of the major merits of Go is that it offers thirty percent faster startup time. It also stands second to none in terms of performance and storage optimization. Also, it has the top quality of in-built management features, security benefits. This Android is designed to run on smart phones, having 1 GB RAM. As it takes reduced space on the smart phone, it creates additional space. Therefore, it provides faster and effective performance. The pre-installed apps like Google Maps, YouTube are known to take half of the storage space, as compared to other devices. Devices with Android Go edition come with the in-built data saving feature. Owing to this, the user will have additional control over the usage of their data. Android Go Edition happens to be the most secure version of Android at present. Thus, you can be ensured that the data, apps, and devices are going to be safe and secure. Android Go is considered to be the tailored option for different low-end devices. Some of the worth mentioning smart phones that run on this operating system include Nokia 1, Xiaomi, Motorola, Samsung, Alcatel 1X. At present, it is also available for Nexus and Pixel devices. Android Go edition has gained high popularity in offering an amazing user experience to budget smart phone users. Small sized apps :- The small size apps are good to n extent because te apps are trimmed so but obvious some features are missing. NO Data Saver Mode :- The data saver mode wont work on incognito mode in chrome. Image quality:- Images on chrome wont be available in high Quality. Features an Graphics :- Also, the graphics and quality of games wont be up to the mark in terms of quality and graphics. Excessive work Load :- The small ram and storage wont be sufficient for a rough and heavy usage. In Overall consideration Android Go is a good buy for small end and low budgeted users. To fulfill the high end needs at a reasonable prices. Its obvious that a reducing price range wont provide everything at par with the actual ones but for this budget it’s a good to go with product. You can also comment your personal opinion on android go below.